Separately, I can deal with the deities Speed and Coordination. Being a polite southern gal, I only ask for blessings from one at a time. Rarely do I invoke a plea to them both. When I do it is tricky. I recall a particular Red River Gorge root that has tripped me twice while trail running. Airborne, I landed with a thud each time, sending up a cloud of dust. Now though I must find away to gain the blessings of both Speed and Coordination. 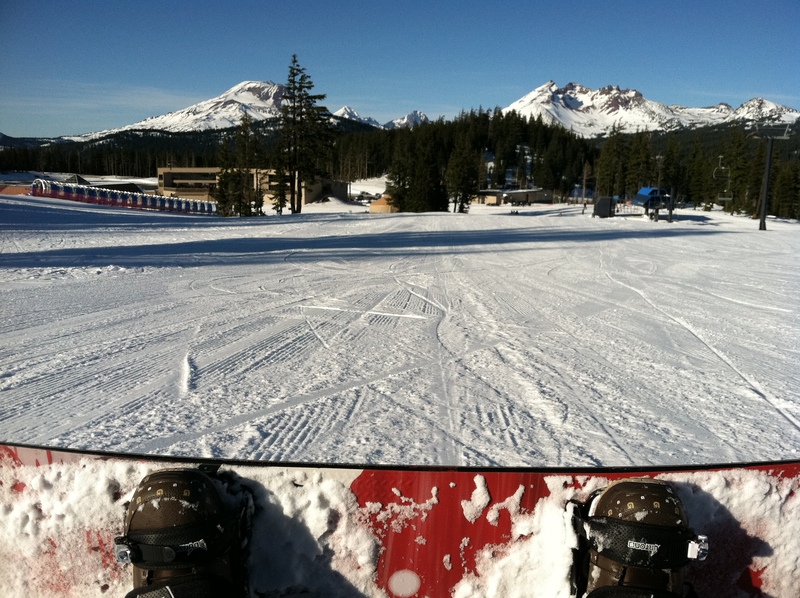 I’m finally taking on all the winter sports I’ve avoided for so long: snowboarding, telemark and alpine skiing. My cross-country skis are in the corner, patiently waiting for me to bail on the whole project. This month the focus is snowboarding with the expectation of a long winter to provide plenty of time to get to all three. 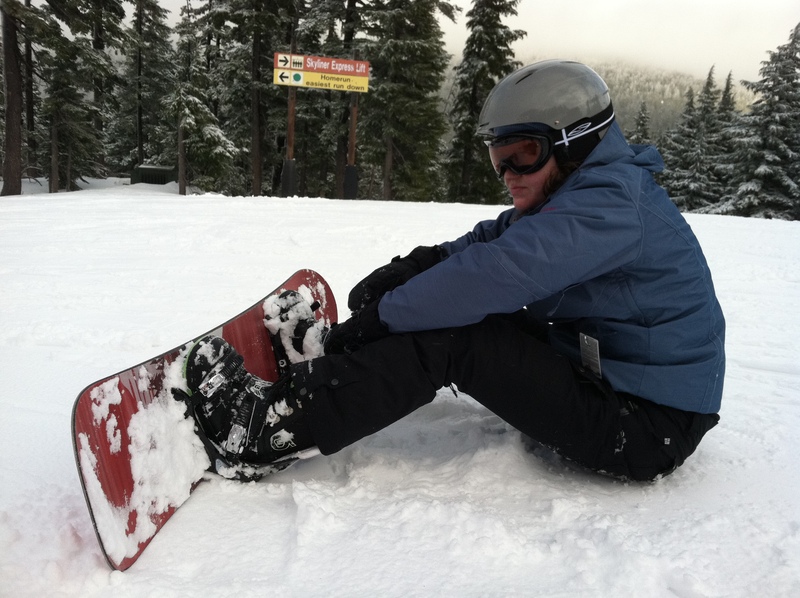 I’m proud to report that I actually took a snowboarding lesson. Between that and some reading, I understand what I am supposed to do. I am stunned to report progress is happening; last couple times out the basics started to click. However it has become clear that as my abilities and confidence slowly increase the intensity of my falls increases much more dramatically. I won’t attempt an equation but I know there must be one. So now then, Speed and Coordination, please let’s all get along. My knees are sporting more bruises than I’ve ever got climbing. My wrists don’t even want to support my yoga poses anymore. My backside cannot take another hit, bounce, and flip crash. So come on S & C, let’s do this thing and get me off the easiest run on the mountain! Yeah!